Shaped mirror with direct print graphic mounted on shaped wooden panel. Materials: 4mm thick glass, 15mm thick poplar plywood panel, UV print, silvering. Giampiero Romanò, furniture restorer, customizer and art expert. 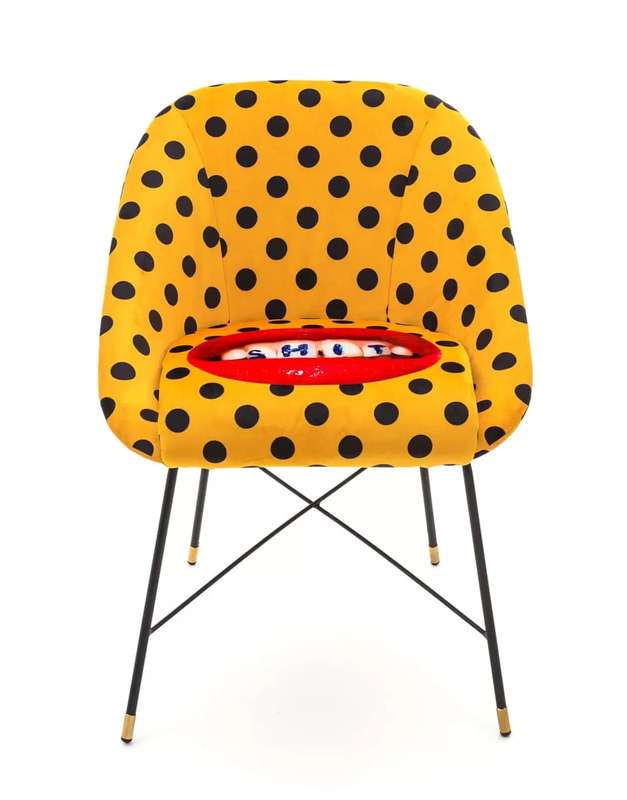 Friend and collaborator of Maurizio Cattelan and Pierpaolo Ferrari, creates for the brand TOILETPAPER unique pieces of interior design sold in international galleries. Today he launches his own brand new line of limited edition or one-of-a-kind pieces of furniture, mirrors and accessories that gathers all his experience, art and creativity!